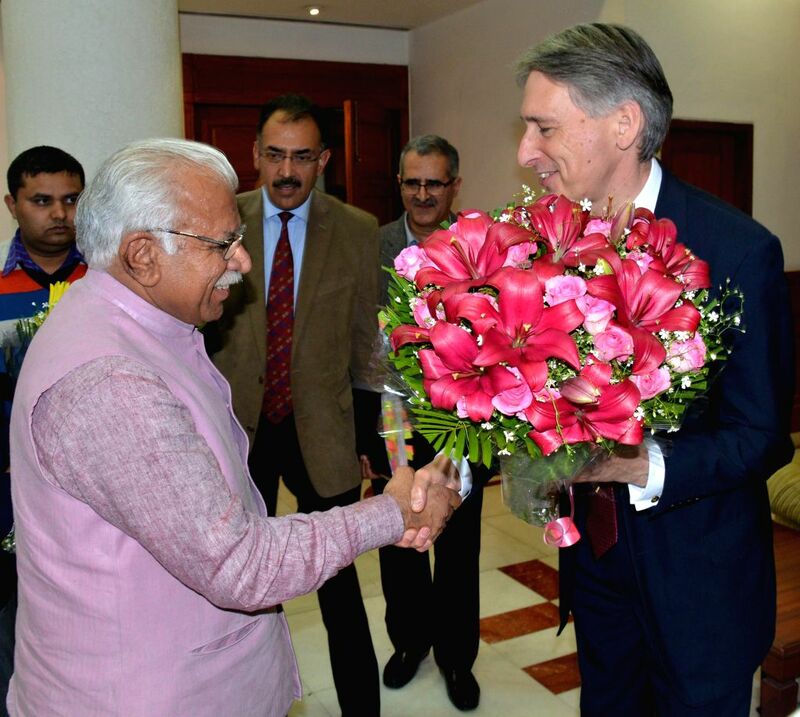 Chandigarh: United Kingdom Secretary of State for Foreign and Commonwealth Affairs Philip Hammond calls on Haryana Chief Minister Manohar Lal Khattar in Chandigarh on March 11, 2015. British Foreign Secretary Philip Hammond calls on Haryana Chief Minister Manohar Lal Khattar in Chandigarh on March 11, 2015. Also seen Haryana Education Minister Ram Bilas Sharma.